Set to a catchy upbeat tune, the minute-long spot runs through a sampling of clips and animations borrowed from apps, TV shows, movies, e-books and other digital content that made it to Apple's Best of 2016 list. Loosely organized by content type, Apple's video jumps from movies "La La Land" and "Moonlight" to apps like Severed, Prisma and SketchBook Motion. TV shows highlighted in today's ad include NBC's "This is Us," Cartoon Network's "Steven Universe" and breakout FX series "Atlanta." As can be expected, music was a major focus for Apple in 2016. Top picks from Apple Music and iTunes include David Bowie's "Blackstar," Maren Morris' "My Church" and Shawn Mendes' "Treat You Better." In addition to music video clips from full length albums, EPs and singles, Apple threw in a pair of Beats 1 interviews with Lady Gaga and Pharrell Williams. "Heavyweight" stands as the video rundown's lone podcast. A selection of e-books is also incorporated as a nod to the iBooks Store. Interspersed between the clips a tagline reads, "We celebrate what mattered the most and was the most fun. Our picks. Our passions. 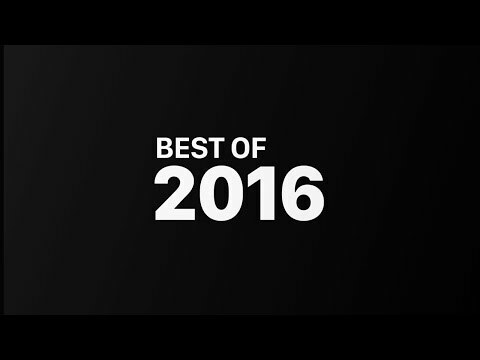 Best of 2016." Each media snippet is annotated with its title and creator, whether it be a musician, developer or author, as well as a small icon denoting from which digital store it originated. For example, apps get the App Store logo, while movies feature a film strip for iTunes Movies.